A friend sent me an amazing story about a Japan Airlines DC-8 which inadvertently landed in San Francisco Bay in 1968. They were on final approach to SFO and the captain somehow descended into the water while navigating toward the runway in foggy conditions. Since the bay was only about nine feet deep in that spot, the jet came to rest in one piece with minimal damage. The occupants were even able to exit the plane without getting wet. Sound familiar? There are a surprising number of airplanes out there with histories like that. The Gimli Glider, an Air Canada 767 which ran out of fuel but glided safely to a landing at a closed airport, is one such famous example. The plane was repaired and went on to fly for another 25 years. The Wikipedia entry on the Gimli Glider contains a list of 12 similar incidents where a multi-engine jet aircraft suffered the total loss of engine power. Pilot error, mis-fueling, sabotage, hijacking, bird strikes, extreme weather, volcanic ash encounters. It’s extraordinary rare, but it does happen. Unfortunately, most aircraft manufacturers don’t bother to consider the possibility of total power loss when they create their operating manuals. 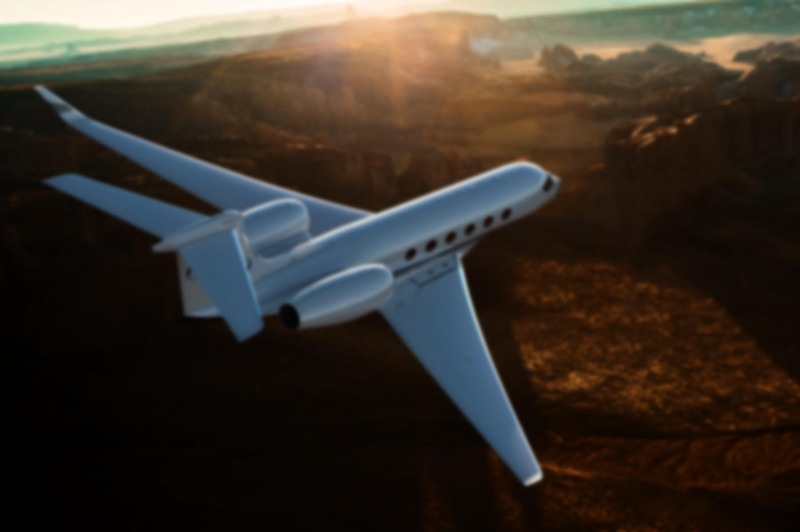 I was glad to discover that Gulfstream does have procedures for the failure of both engines, and even provides glide ratios, distances, and airspeeds. I doubt they’ll ever need to be used, but it’s comforting to know the manufacturer has thought of such things. I understand from my sim partner that we’ll get to run that scenario in training before the checkride. We’ve gone through the Quick Reference Handbook fairly well, and the instructor has pointed out a few “gotchas” which can take a small problem and turn it into a big one if you’re not careful. For example, the emergency landing gear extension procedure utilizes nitrogen gas stored in a pneumatic bottle to “blow down” the gear if it cannot be lowered via the aircraft’s hydraulic systems. It’s a single-use system — once the nitrogen has been discharged, that’s it, the bottle is empty. So you can’t afford to screw it up. Unfortunately, it is quite possible to bungle the procedure. If the dump value D-ring isn’t property stowed prior to pulling the T-handle to discharge the nitrogen, the gas will be vented overboard rather than lowering the gear. It’s vital that the D-ring is fully and completely pushing back in, yet this is conveyed as an easily overlooked note in the QRH procedure rather than being prominently displayed as it’s own dedicated item in the list. No one seems to know why it was written that way. One of the students in the class read the procedure out loud and managed to miss stowing the D-ring. We were all surprised when our instructor said, “Congratulations. You just committed yourself to a gear-up landing”. Gulp! We were told that three-quarters of the people who read that procedure during training do the exact same thing. If that happens in a calm, quiet classroom, imagine how likely it might be in the heat of an actual emergency at night in bad weather after a long day of flying. (Note to self: don’t be that guy).